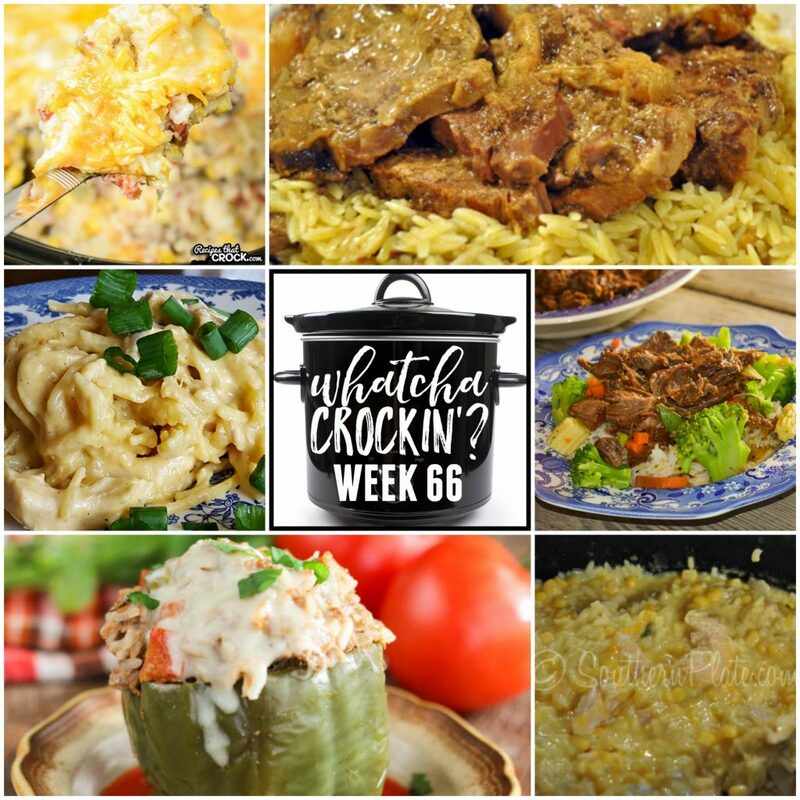 This week’s Whatcha Crockin’ crock pot recipes include Slow Cooker Cheesy Chicken and Rice, Instant Pot Italian Stuffed Peppers, Crock Pot Round Steak, Instant Pot Hawaiian Beef, Crock Pot Sweet Corn Sausage Rice Casserole, Smothered Chicken, Crock Pot Cheesy Chicken and Noodles and more! 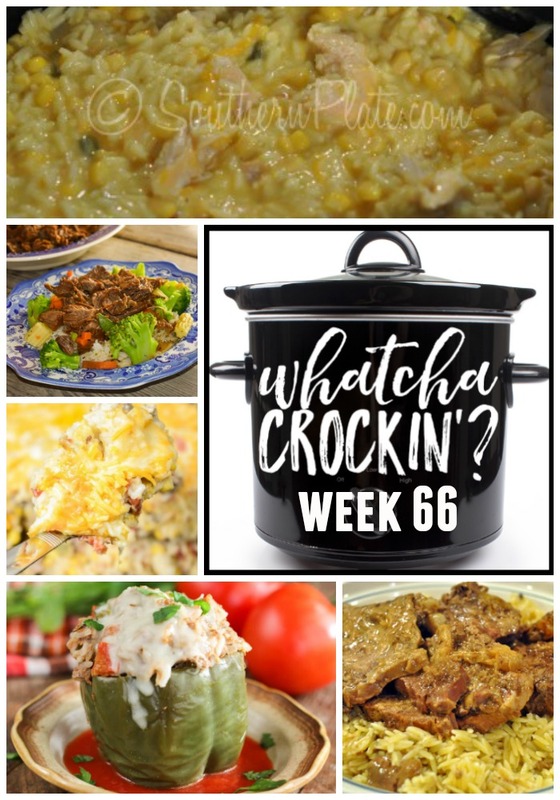 Welcome to week 66 of Whatcha Crockin’ link ups with our blogging friends!!! We are are so grateful to all the bloggers that link up their delicious crock pot recipes each week, and for our great co-hosts – Cris, Leah and Megan. We are excited to be back this week with some crock pot recipes you don’t want to miss from around the blogosphere. So let’s get crockin’! Thank you so much for featuring the Crock Pot Cheesy Chicken and Noodles. I enjoy all of the recipes shared each week. Have a wonderful day! !